Why do Microsoft keep changing things? All versions of Windows have limitations on the hardware it can control. Windows XP, for example could only manage 3.25GB's of RAM and Windows 98 could only control hard drives upto 32GB in capacity. So, as computers become more powerful the softwre that controls them needs to evolve to keep up. Another reason is security. In the constant battle to keep you computer and all the information you keep on it secure Windows needs to be updated to keep up with the ever changing threats out there. Eventually the updates and patches become ineffective and a complete rewrite becomes necessary. Think of a castle under attack, eventually after too many repairs there is less castle that repaired areas left and a new castle needs to be built. Finaly technology evolution. 25 years ago who would have thought that millions would be watching TV over the internet or playing games could be as realistic as the movies, or we would be video caling each other with the clarity of being stood face to face. So as what we want to do with our computers evolves to do our computers and the software they run. Do I Really Need A New Computer? Not necessarily. If your computer has some form of Dual-Core processor then we can usually upgrade it to Windows 7 or 10. It should also have a minimum of 4GB RAM and storage well in excess of 160GB If your computer is only a single core machine then we would recommend a replacement or a rebuild. The short answer is NO! 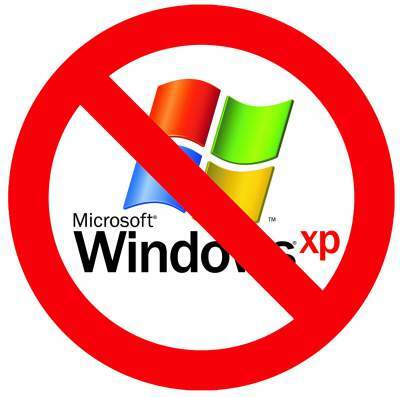 However, we believe (along with most of the rest of the world) that continuing to use an unsupported version of Windows will put you at a greater risk of being a victim of computer viruses, malware and identity theft. Most of the Windows updates are to patch holes that have been discovered within the Windows system that virus writers have been exploiting to steal from computer users. A simple analagy is to think that if you don't want the rest of the world to see what you are doing then don't do it on a computer with an unsupported version of Windows. Alternatively if your computer is totally isolated from the rest of the world, eg. you only write and print letters, then there is no need to do anything. What about newer versions of Windows? All versions of Windows have a limited support life and full details can be found here. Though these dates have historically been extended in accordance with the popularity of each newer windows version. Windows 7 is the next version to meet its maker, currently due to be retired someitme in 2020 though, given this was the most popular version of windows ever, Microsoft may come under pressure to extend this date. 7-8 John Street, Stroud. Gloucestershire GL5 2HA (01453) 758934 This page was last modified on 02/05/2018 at 19:49.